Experts say that getting positive online customer reviews for your business has risen from one star to five stars in importance. “Reviews are pivotal for local businesses these days, and honestly impact the local success more than people realize,” said Jake Lane, director of growth at the Austin, TX-based mobile car care service NuWash. Recent studies confirm the importance of turning on the stream of reviews. BrightLocal, a company that builds tools for local businesses seeking SEO gains, released its most recent “Local Consumer Review Survey” in late 2018. Its key finding was that 6 out of 7 consumers (86 percent) read reviews for local businesses. Among people aged 18-34, that number rises to 95 percent. Volume: Consumers read an average of 10 online reviews before feeling able to trust a local business. “In general, people tend to favor businesses that are highly rated, by a large number of people,” Smith said. “I challenge customers all the time to be ‘the most-reviewed business in town.’"
Recency: 40 percent of consumers take into account only reviews written in the past two weeks — up from 18 percent in the prior year’s survey. A 2017 survey by Podium confirms BrightLocal’s data on reviews’ importance. Podium’s “State of Online Reviews” reports that 93 percent of consumers say that online reviews have an impact on their purchases. The reviews had better be good, too: the report goes on to say that 3.3 is the minimum score that the average consumer will consider before gracing a business with their dollars. If that is not recent enough for you, a 2018 study by the search engine marketing company Moz found the volume of Google reviews was the second-largest difference-maker for a local business’s website, trailing only the quality of backlinks. Clearly, reviews are an increasingly important signal to consumers and to search engines trying to display the most meaningful results. Anyone who is serious about eCommerce should account for reviews as part of their game plan for success. Here is some information on how to use online reviews in your SEO strategy. The first step is to see where you are right now. Google, Yelp, and Facebook are three of the largest platforms that collect and showcase customer reviews. You must look at those, and you may also want to see your standing on other review sites active in your industry, including TripAdvisor, Angie’s List, Urbanspoon, and Yahoo Local. Plug your business name into each of them and see what pops up. Do the same for your competitors and see how you stack up in comparison. Also, search for the generic name for your product or service and see if you appear anywhere in the results. Some types of businesses tend to have a larger presence on one of the major platforms than others, so make a note of that. You’ll want to place the highest priority on the platform that has the most reviews for your type of business. Each of the aforementioned platforms has a page that allows business owners to “claim” their business, and with that often comes the privilege of responding to consumers’ reviews. Studies show the business owners who take time to respond are seen as more trustworthy. If you disagree with the customer, that’s fine — just keep it classy. Be factual, but sympathetic. Lastly, it doesn’t hurt to apologize for what the customer perceives as a bad experience. Customers have become accustomed to getting quick ratings of businesses through star rating systems, so your reviews will be tallied up and displayed. 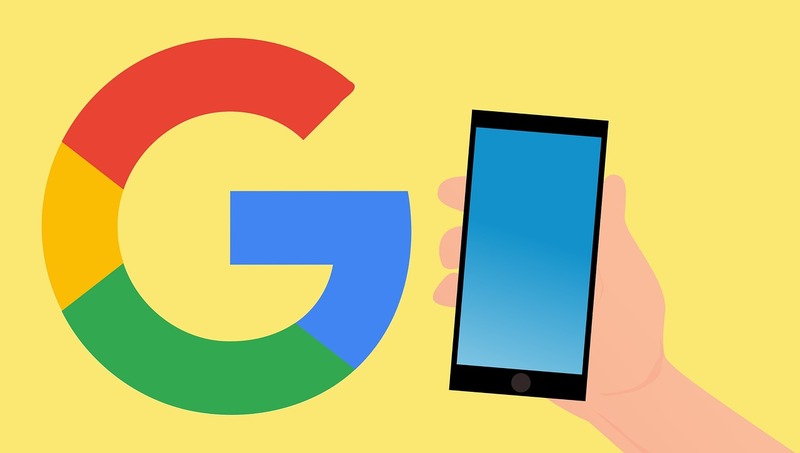 Google calls its stars “seller extensions” and displays them only for highly rated businesses. Meanwhile, Facebook bases its stars on its ratings system, which it compiles from the recommendations of buyers and sellers who sign in to its app on mobile devices. Amazon and Yelp base their star ratings on customer reviews. When creating a plan for boosting your reviews, recognize that reviews may move the needle on search results but may not be persuasive in turning web visits into sales. 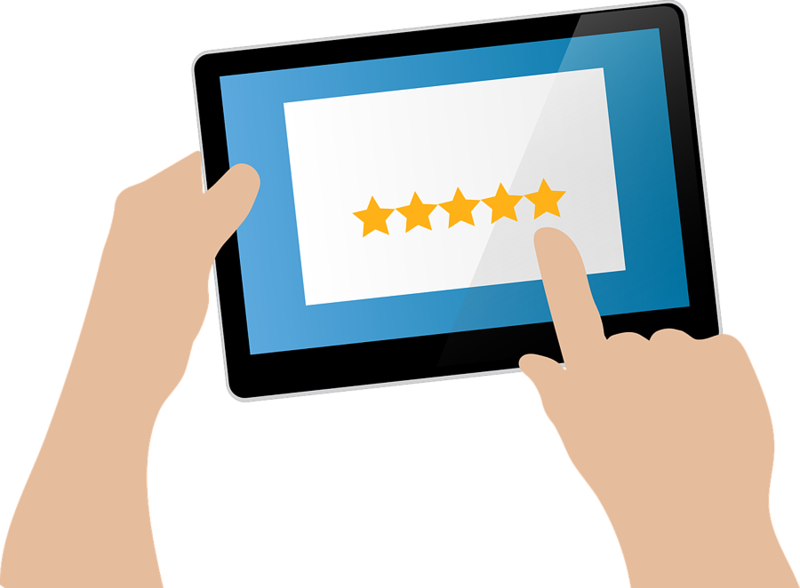 In their scholarly paper “Impact of Online Reviews on Sales,” researchers Feng Zhu and Xiaoquan Zhang write that the impact of reviews is nuanced. Not every review affects sales equally, their research finds. Consumers more readily consume online reviews today, but they still use a mix of online and offline information to make their purchasing decisions. An online review is only one part of that decision-making process — blogs, salespeople, magazines, and what Mom thinks can all play a part. Still, it can certainly be an important part. As usual with search engines, the exact inner workings of the algorithm-powered black box are opaque. The belief that reviews impact search engine rankings is widespread among SEO experts, but no one outside the companies is exactly sure how reviews figure into search rankings. The higher your industry is on the above list, the more important it is to be on top of your reviews. While you don’t have all that much to fear from the occasional bad review, you do want to boost your reputation — and your SEO rankings — by encouraging the good ones. Prioritize higher priced items for reviews. Consumers rely more heavily on what other people say about these items before buying. For new products, actively seek out reviews by offering samples. Studies show that up to 80 percent of reviews are generated by post-purchase email. Make sure to send emails to your customers thanking them and asking for a review. Each reviews site has its own rules, so become familiar with all of them active in your industry. There’s one constant across the board, though: don’t pay for reviews. It is unethical and forbidden by search engines, and it can also get you in real trouble. In one infamous case, Eric Schneiderman, then the Attorney General of New York, extracted payments from four companies that were paying for favorable reviews. In the most egregious case, a California gaming company called Machinima had to fork over $50,000 for failing to disclose it was paying prominent gamers for their gushing YouTube videos. Perhaps surprisingly, one vital way to attract good reviews is to make sure your customers know you are willing to hear complaints. Make sure you have a prominent way for dissatisfied consumers to gain a fair shake from your company, or at least a sympathetic ear. If the review is truly awful, you may have recourse. Google does allow business owners to flag inappropriate reviews. It won’t delete reviews that a business owner simply disagrees with, but the search engine will give the boot to reviews that are obscenity-laden or sexually explicit, or promote violence. It may seem counterintuitive, but if you make the effort to satisfy dissatisfied customers, they can turn out to be some of your best and most loyal — as well as the most likely to write a positive review. The lawn service marketplace LawnStarter Lawn Care, for example, found that getting back to an unhappy customer and satisfying their complaints turns them into repeat customers who order even more services than customers who never complained. Negative reviews are probably inevitable, and researchers Northwestern University’s Spiegel Digital and Database Research Center found that about 4 in 5 customers seek out negative reviews. And that’s okay.